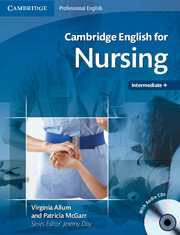 Cambridge English for Nursing Intermediate Plus is designed to improve the communication skills and specialist English language knowledge of healthcare professionals, enabling them to work more confidently and effectively. With an emphasis on listening and speaking, the course covers the core areas of nursing with authentic tasks and activities based on everyday scenarios, making the course relevant and motivating. 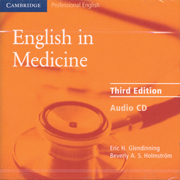 The Student's Book contains two audio CDs and the course is backed-up by a wealth of online activities helping keep nurses up-to-date and confident in their working environment.